Travel to Storm City to help the Brotherhood Chapter there currently locked in a stalemate with super-mutants. A fully voiced mini DLC mod which features one and a half to two hours of content. With four new weapons. scottmack: "I just see it as camons work to be honest, its why I couldnt be arsed crediting myself properly. 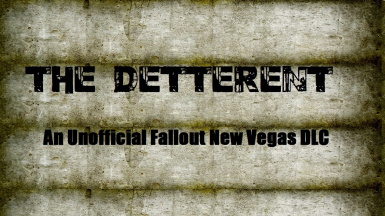 If Camons okay with it then go ahead"
The Deterrent is a fully voiced medium sized quest mod. It contains a brand new world space to explore along with several new characters, a new faction and several new quests. A Brotherhood Of Steel chapter is embroiled in a bloody war with remnants of the master's army over an incredibly dangerous piece of technology. The Courier is contacted by a mysterious individual named Jameson in order to set up a meeting. Will you be sympathetic to the Brotherhood's goals or will you go your own way? 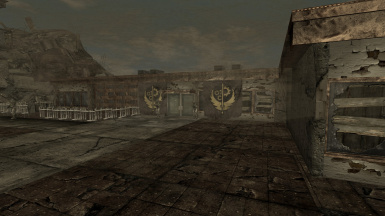 The Brotherhood Of Steel are remnants of the US Army in the post apocalyptic universe of Fallout. They are dedicated to preserving technology so it doesn't fall into irresponsible hands. They are locked in a war with super mutants over a piece of dangerous technology. The super mutants are creatures created by a man-made virus called FEV. After their leader, the Master, died in the original game. They were left to wander aimlessly. Some turned to banditry and some integrated into society. 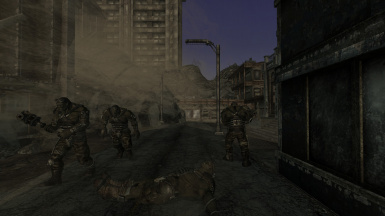 A group of the former turn up at the city and battle with the Brotherhood Of Steel over the area. The Deterrent is a medium sized quest mod, almost like a mini-DLC. It features one and a half to two hours of content with six marked quests of varying length and one unmarked note quest. Over two hundred lines of voiced and lip synced dialog. Four new weapons: American Assault Rifle, Chinese Carbine, Trench Shotgun, Double Pump (special thanks to Camon and his team, with permission). These guns can also be found in the Camon Pack Complete. A story I thought long and hard about. Four different ways this mod can end. Chinese Carbine by Camon/ApocalypticGirl: A Chinese Assault rifle used by the Chinese prior to the Great War. Trench Shotgun by Camon/ApocalypticGirl: A lever action shotgun with a stock attached. Reminiscent of Terminator 2. American Assault Rifle by Camon/ApocalypticGirl: A G3A3 used by the Americans prior to the Great War. Reminiscent of the Fallout 3 Assault Rifle. Double Pump by Camon/Scottmack/Fext: A pump action shotgun with two barrels instead of one. Fires both barrels simultaneously. 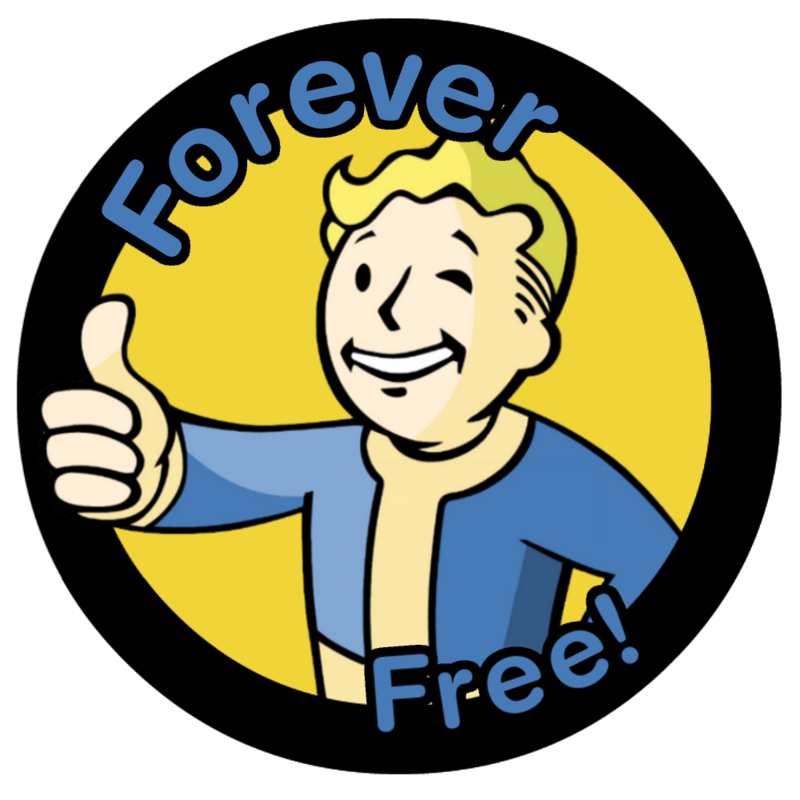 Download the mod with the Nexus Mod Manager. Otherwise extract to your New Vegas data folder. Use Nexus Mod Manager. Otherwise delete all files associated with the mod. I'd like to thank Ki McKenzie for essentially writing the Mutant Leader Character. Thanks to Camon and scottmack for allowing me to use your weapons. Several areas that could be used to exit the game world have been patched out. 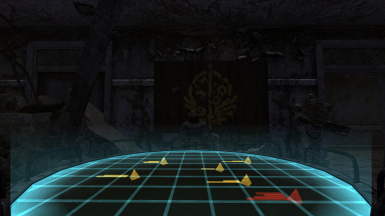 The map marker for "Steel Be With You" now points towards High Scribe Darrius as intended. Terrain which popped through certain buildings has been altered to function as intended. The player could exit the Sunstorm Recreation Room via a hole in the world, effectively glitching themselves out the game world. This has been patched and is no longer possible. 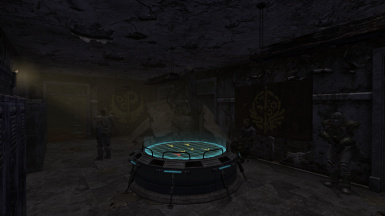 The Brotherhood Of Steel in the tunnels would randomly attack the player. 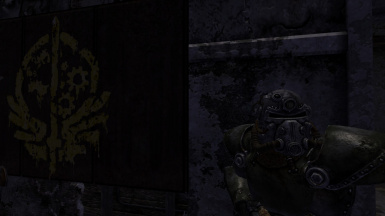 This was due to them being in the Brotherhood Of Steel faction from Fallout: New Vegas. This has been altered to allow all players access to the content. 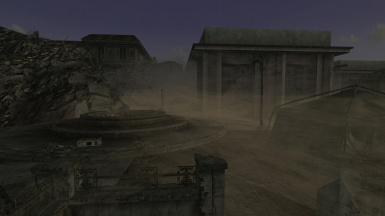 The final battle was criticized for being anti-climatic. The main criticism was that it was two Paladins versus two super mutants. Several more NPCs have been added to give it more of a realistic feel. The "Computer Room" was criticized for not looking like one. 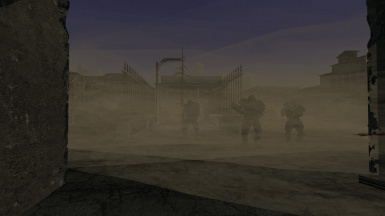 Several mainframe computers and other clutter have been added to give it more of the atmosphere intended. Deputy Beagle from Primm was accidently duplicated during development in an absurd mistake. 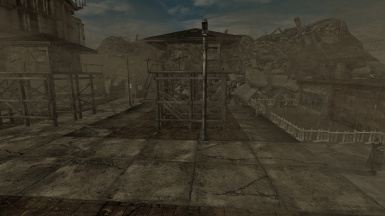 This has now been fixed and the vanilla Primm quest works as intended. 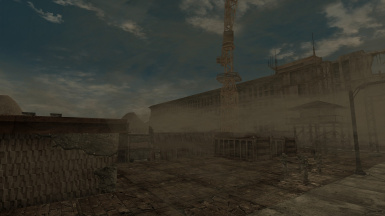 The mod's interiors were criticized for being too similar to vanilla interiors. Several new interiors have been made, replacing all the ones in question. New terminals, providing back story, have been added to the world. 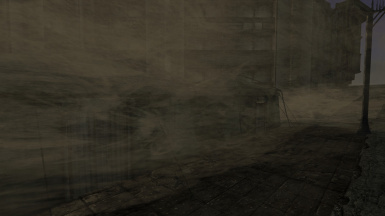 The sandstorm which sweeps across the city now produces ambient sound. This adds a significant amount of atmosphere. One new unique weapon, unique variant of the American Assault Rifle. 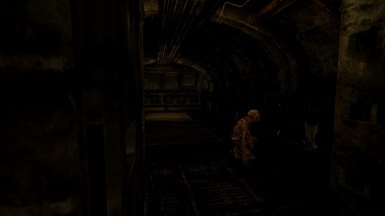 Two new interiors added to the Civilian Evacuation Tunnels. This makes the journey to Storm City feel longer and better paced. Several interior updates to include new clutter, making the interiors feel more lived in. Johnson Nash now has voice acting as he hands you the note to begin the mod. 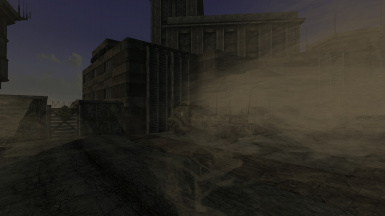 The sandstorm often produced graphical glitches, making ENBs look unpleasant. This has now been fixed and ENBs actually look acceptable. Weapons added to leveled lists and vendor inventories. The metro was often very claustrophobic. You'd often get caught on Paladin Jameson and any other companions you brought. These interiors have been modified to make it more companion friendly. 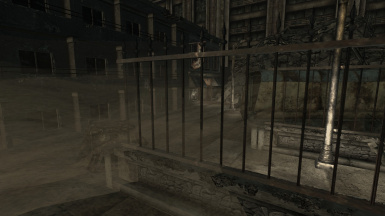 The navmeshes in the Industrial area of the city often bugged out. Causing the mutants to run into walls. Overall, the path finding was not very good. This has been addressed in this patch with multiple navmesh edits in this area. 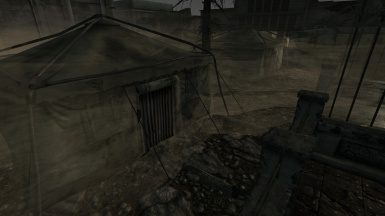 Further navmesh fixes to both the Industrial Area and the Town Centre. This will make NPCs path find better and will have the added effect of making combat more interesting. The terrain in the exterior of the power plant was floating in the air. This has been addressed in this patch. This is now ground level. Interior navmeshing fixes. New clutter has been added to the interiors to make it seem more lived in. Further navmesh fixes to both the Industrial Area and the Town Centre. The conversion to an esm makes pathfinding better. File converted from esp to esm. A bug existed where I accidentally patched out various voice acting from the vanilla game. This is now fixed and works as intended. Every character has been rewritten. Every character has been revoiced. Two new interiors added to the power plant. A new fully voiced Mutant Leader character. 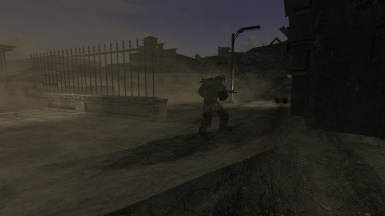 Fixes the previous crash to Desktop caused by the player entering Doc Mitchell's house. There is a common bug with Quartermaster Mayes not saying his lines. I cannot reproduce this bug no matter what I have installed. This seems very hit or miss. The most likely problem is an incompatibility with another mod. Check for other mods that add new dialogue to the game (there's a whole bunch of these) and deactivate them one at a time. If anyone discovers the mod causing the incompatibility or thinks they know I'd be intrigued to know.